Kansas City restaurant plumbing services that will keep your business in the black. When your plumbing is not working properly downtime can be critical. That is why you can count on the Plumbing Pro to repair your plumbing issues quickly and professionally. We understand that even a simple plumbing issue can really cut into your bottom line, and affect your ability to service your customers. Whether you are suffering from a leaking faucet, a clogged drain, or faulty toilet the Plumbing Pro can help. 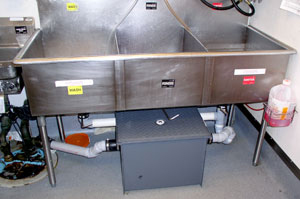 We also specialize in installing or maintaining a fully operational grease trap (interceptor) and sewer repair. Our well-trained staff and fully stocked vehicles are just around the corner. We are committed to be your fast-response plumbing team. Providing you with economical solutions to your plumbing installation, repair and inspection needs. We service corporate cafeterias, bars and restaurants in Johnson County – Overland Park, Merriam, Lenexa, Shawnee and Mission in Kansas. We service Parkville, Kansas City, Liberty, Independence, Lee’s Summit, Raytown, Blue Springs, Belton and Grandview in Jackson County. 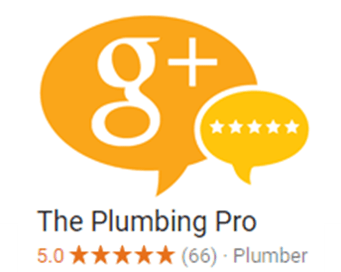 Don’t just call any plumber contact a pro, The Plumbing Pro. Why? Because we know the specific needs in restaurant industry and are committed to providing our clients with only the best products. We can work around your schedule, respond quickly and limit your down time. We are reliable and trustworthy. 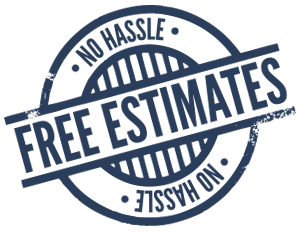 Call us today for a free no hassle estimate (816) 763-8200 or (913) 782-9669. Kevin Timmons, Nick and Jakes.